Have an extended trip to the region of Chablis. The famous town for its white wine made of Chardonnay. You'll have the chance to visit and have a sample of wine from the different vineyards in this 12-hour tour. At around 7:30 AM, we will pick you at the hotel with one of our most comfortable cars. Your guide will give you an introduction to the area. Since it's a 2.5 to 3-hour drive from Paris, we'll stop on the way to grab some snacks, coffee or take a restroom break. We'll start the tour at Basilica Vézelay. The church and the hill is located have been recognized as a UNESCO World Heritage Site. Enjoy a sumptuous lunch at the beautiful town of Chablis where your guide can recommend a restaurant for your taste. You can also taste authentic wine here. Head off to discover a working vineyard. 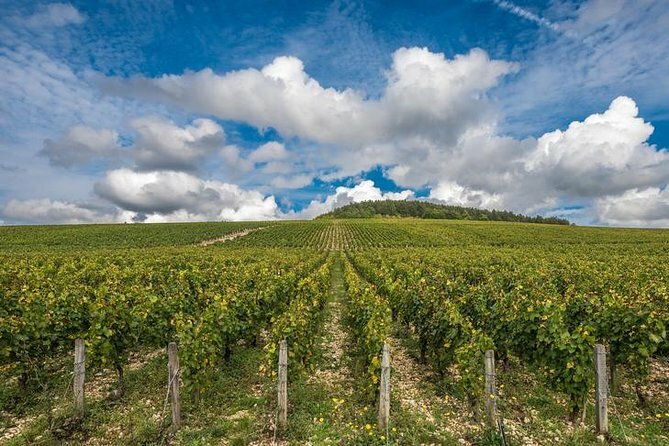 Be fascinated by the wine production and have a sample of classic Chablis. We'll also visit a small vineyard to continue your ultimate wine tasting. Your guide will take you to a place where you can enjoy the great view of the valley. This is your chance to take that beautiful photos.